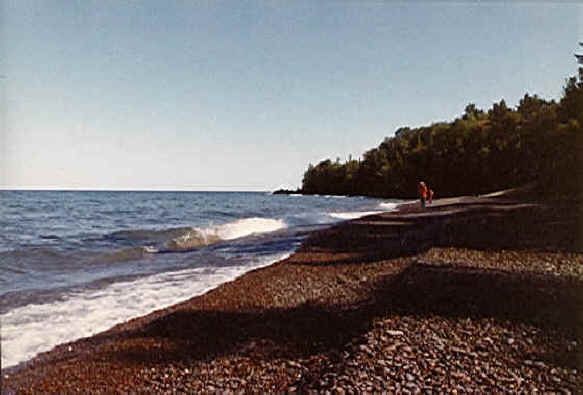 If you park at the Copper Harbor Marina and walk around the west end of the Harbor, you can cross over a ridge and end up on this beach. There aren't many interesting stones, but the scenery is nice. This picture was taken in September 1981. The person closest to the camera is my father, and further down the beach is my mother.